Herniated discs are a common issue among people today. However, the issue is not to be taken lightly. In the spine, there are numerous discs that help to support us. In between each of these is a sponge like material that helps to absorb movements and protect the discs. Furthermore, these sponge sacs help to ensure that the spine experiences flexibility. In people who experience herniated discs, these particular sponges actually break open. There are other names for this type of situation. These names include discs that are considered "slipped", and discs that are considered "ruptured". There are a few contributing factors when considering the symptoms that are associated with herniated discs. The first factor is the overall size of the disc issue. The second factor is the location of the disc that is herniated, and the last is whether the disc is putting pressure on a nerve or not. Here, you will discover the symptoms that may be experienced if you have a disc that is considered to be herniated. If you experience a herniated disc, it is quite common to have various symptoms throughout the legs. These symptoms may include numbness, tingling, or a combination of both. Many people have experienced these issues as far down into the foot. When experiencing these symptoms, they may last for a short period of time or they may last for an increased amount of time. Many people experience these symptoms in spurts where other people experience a constant occurrence of these symptoms. For the person that is experiencing the issue of a disc that is considered to be herniated, pain in the area of the thigh is quite common. This pain is most often associated with the front part of the thigh. The pain can be intermittent, throbbing, shooting, or constant. It all depends on the amount of pressure that the disc is applying to the nerve that is affected. When this type of pain occurs, it most often is relieved by changing positions. For example, if the pain is experienced in sitting in one position, it may be relieved by the person readjusting and sitting in a different position. For a person that is experiencing a herniated disc, suffering from pain that is considered “deep” within the muscles, or an assortment of spasms in the muscles is a common situation. There are many individuals who experience this situation and must participate in physical therapy in order to soothe these symptoms. However, many individuals only experience these symptoms occasionally and benefits from the use of muscle rubs and pain relievers. The amount that one suffers from this type of situation depends on the severity of the disc that is affected. There may be symptoms in the area of the shoulders, the neck, and even the arms are a disc is herniated in the area of the neck. This area is often referred to as the “cervical spine”. The symptoms associated with these locations may include severe pain, throbbing, the sensation of throbbing, shooting pain, and even numbness. This is often found in individuals that spend a lot of time using a computer, bending, or reading. Many different diseases and such also lead to these types of herniated discs. In extreme and serious cases of herniated discs, an individual may experience the symptoms of having lost strength in both of the legs. Furthermore, the individual may experience a loss of control with the bladder, and/or a loss of control of the bowels. This situation is not considered a normal situation. If it is experienced, immediate medical attention is required. There are many causes that may contribute to an issue of a herniated disc. The top reason, and most common, is due to age. 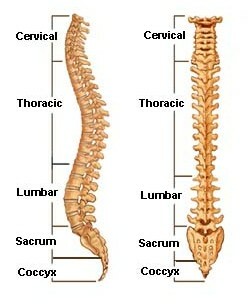 As a person grows older, the spine does not reflect the same flexibility as it once did. Additionally, the sponge like structure may experience dryness. The second cause for this type of condition also includes injury. The third cause may be due to various diseases and medical conditions. There are numerous nerves that run around the area of the spine. If a disc that is herniated does not touch or apply pressure to these nerves, there may be no present symptoms related to the issue. However, if a nerve is affected, there are numerous symptoms that may occur. One of the main symptoms that may be experienced is weakness. Many people have experienced pain, and even numbness in certain areas of the body as a result of this particular situation. The nerve that is affected generally runs to a certain area of the body and this is the area that is most greatly affected. There are numerous ways that an individual can work to prevent the issue of a herniated disc. The first method is to protect the spine when lifting. It is important to keep the back straight, and supported, when lifting. Lifting should be done with the legs. The next method is to practice proper posture techniques. The third method is to have a healthy lifestyle that includes exercising, drinking plenty of fluids, not smoking, and not drinking. The fourth method is to ensure that you maintain a healthy weight. There are numerous tests that can be done to conclude a condition of a herniated disc. The first thing that is normally done is a small interview conducted by a doctor. The doctor will ask many questions regarding symptoms that a patient is suffering. From there, they may order tests such as a CT scan, X-ray, or even a MRI. 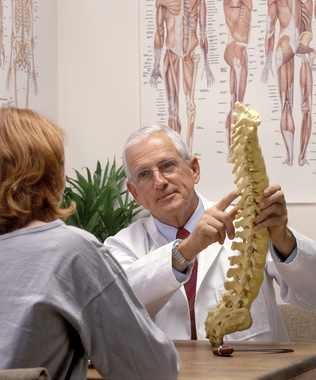 These tests will allow a doctor to examine the spine more thoroughly to determine if there is a situation present. If there is not an issue with the discs being herniated, the doctor will be able to rule this out and research other possibilities that may be resulting in the symptoms of the patient. It is extremely important to properly care for your body. The spine, or back, is often one of the main areas of the body that is neglected. If it is not cared for properly, many different complications may arise. One of these complications includes the development of herniated discs. In this article, I will share a few tips with you on how you can prevent spine difficulties like herniated discs through proper care and lifestyle habits. The first way to prevent herniated discs is to ensure that you have good posture. It is important to sit and stand straight when possible. When sitting at a computer, or a desk or table, it is important to practice the proper ergonomics. This will ensure that the back does not experience an undue amount of stress and tension. It will eliminate the possibility of developing herniated discs and other types of back problems. It is important to exercise and practice healthy eating habits in order to maintain the health of your spine. You should start by consuming at least ten glasses of water a day. Furthermore, foods that are rich in minerals and other natural substances that the body requires are important to consume as well. Some of these foods include raw foods, vegetables, grains, and fruits. Natural fruit juices are an excellent source of nutrition as well. Many individuals make certain to drink and eat foods and beverages that are calcium rich. A good place to start would include consuming milk and orange juice. These items will actually assist in developing the overall bone density of an individual. Performing various exercises and stretches are a great way to protect the spine. These exercises also help to increase the strength and flexibility of this important area of the back. In order to prevent herniated discs, you should always ensure that you warm up prior to heavy exercises. This will ensure that the bones and muscles do not experience any type of strain or strain and that the back is kept in a healthy state. If you find that you are experiencing back pain, it is imperative that you see a specialist right away. Seeing a doctor early may help to alleviate the possibility that a herniated disc occurs. The doctor will be able to identify any issues that may be occurring in the spinal area and will be able to provide you with treatments and other information on how to resolve the issues quickly. It is important that you follow the orders of the doctor and perform all tasks as outlined. The specialist may insist that you take certain medications, engage in certain exercises, or make some adjustments to your lifestyle. All of the things that the doctor reviews with you should be done in order to prevent back injuries and complications. As you can see, there are numerous ways that you can prevent the issue of herniated discs. Taking care of your body is an important first step when trying to prevent herniated discs. Seeing a doctor on a regular basis will also help prevent many complications. There are many instances in which an individual who has herniated discs must have surgery in order to correct the problem. This usually happens once the person has undergone numerous types of treatments in order to alleviate the symptoms associated with the disc or discs that are causing problems. Having to have a surgery done so that you can experience pain relief can be an overwhelming experience emotionally. However, taking proper preparations prior to the procedure can help to soothe the stress that you may be experiencing. The first, and most important, preparation method for your upcoming surgery is to research the procedure and set up a list of questions and concerns that you can discuss with your surgeon. Many people find that they are reluctant to ask questions because they may be viewed as a “nuisance”, or an individual that is not very "smart". However, if you have a question, it is always best to seek an answer. Surgeons, and other medical professionals, understand that there are going to be questions and concerns and are not burdened by you approaching them with these things. The second preparation method is to make sure that you get plenty of rest before your surgery. Enlist the help of others to complete chores and other various responsibilities around the home and at work. If you work outside the home, be certain to take time off. You will need it in order to prepare yourself for surgery and recovery after the surgery. It is important that you relax and ensure that the tension on your back is eliminated. This will help you to experience more ease in the back area after surgery as well. When preparing for the surgery that will help to alleviate the pain that is associated with herniated discs, it is important to be sure to practice healthy eating. You will want to consume foods that are rich in nutrients, vitamins, fluids, and minerals. Some good examples of these types of foods include fruits, an assortment of vegetables, and similar raw foods. It is imperative that you drink plenty of fluids prior to your surgery as well. It is considered "ideal" to drink approximately ten full glasses of water each day. Proper hydration will help you both before and after your surgery. The surgeon who will be conducting the surgery on your back will provide you with a detailed list of things that you will need to do to prepare for surgery. It is extremely important that you pay special attention to this list and complete all of the requirements. This list may include directions on when and what to eat, how to properly wash your back to prepare for surgery, removing nail polish, not wearing jewelry, breathing exercises, back exercises, and more. This list may seem overwhelming to you, but it is important to understand that there is a reason for everything that is listed. In order to prepare for the surgery to help alleviate the pain associated with herniated discs, it is often important to ensure that you make some arrangements for after the surgery. You should be certain to enlist someone who can help you and support you after the surgery. You should not be alone immediately following a surgery of this nature. When the sponge like structure that cushions the discs in the spine because broken, this results in the disc becoming herniated. If the herniated disc applies pressure to a nearby nerve in the spine, this can cause pain and other symptoms. There are many ways that an individual can alleviate pain that is caused by a disc that is herniated in the spine. In this article, you will discover many effective methods of soothing the symptom of pain in the spine area. The first method that you can use to alleviate pain in the spinal area is to rest in bed. You may choose to rest for as little as two days, or as long as a week. Bed rest is a key component when the body needs to regenerate itself. It is important to rest and get the help of other people when it comes to household chores and other responsibilities. If you have a hard time doing this, it is important to remember that you only have one back. If it becomes damaged, it can result in severe complications the rest of your life. It is better to slow down for a few days by choice than to have to slow down for the rest of your life against your will. The second method that you can use to alleviate the pain in your back is to take medication for pain and swelling. If you visit your doctor, they should be able to provide you with a good prescription that does both of these things. However, there are really good pain relievers that are sold over-the-counter as well. You may choose to take any number of things ranging from Aspirin to Tylenol. It all depends on the severity of the pain, and your medical history. If you plan to purchase over-the-counter medications, you should ask your doctor which ones that they prefer you to take. This can be very helpful as the medicine aisle at your pharmacy can be quite overwhelming when you must decide for yourself. When visiting your pharmacy to select an over-the-counter medication, you may find that there are numerous types of gels, creams, and patches that can be used to alleviate pain. It is important to research these items to determine if any of them may work for you. You can purchase a patch that can be applied directly to the area of the back to help soothe pain. You can buy gels and creams that can be applied to the affected area to eliminate pain as well. If you find that these methods work, you may also want to discuss any similar items that may be available by the means of a prescription with your doctor. You may consider physical therapy and/or surgery for the back pain that you experience as a result of herniated discs. It is important to try a variety of alternatives prior to deciding on surgery. However, if those alternative treatments do not prove to be successful, surgery may prove to be. 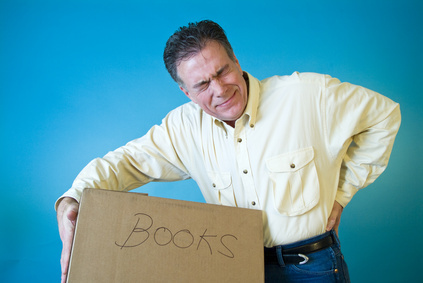 For the individual that has a herniated disc, many things in life may change. Living with the pain and other symptoms of this devastating medical condition can result in many hardships. Many times, it becomes necessary for a person to have the help of another person to assist in even the smallest of tasks. If you are the person that cares for someone that has a herniated disc, there are many things that you can do to provide the highest level of support possible. Here, you will discover a detailed description of those things. The first thing that you can do when you care for someone with a back problem is to be sure to offer plenty of emotional support. This means that you should listen when they need to talk, encourage them when they are frustrated, and be there for them when it seems that no one else is. This will help the sufferer to feel better about the condition that they suffer with. It will help to motivate them when they feel as if they serve no purpose. It will help them to understand that they cannot help the situation and that they are not a burden to others. The second thing that you can do when you are responsible for the care of someone that experiences herniated discs is to help in household chores and responsibilities. While many individuals that suffer from back problems are still able to perform many tasks, often they wind down more quickly. Furthermore, if a task requires a lot of tension to be placed on the back, it should not be done. This includes heavy cleaning, laundry, and even yard work. If you are able to perform the task, you should. However, you may find that the person wants to help. This is completely acceptable just so long as it does not affect the back of the person. For example, when doing laundry, you may have the person assist you in folding and putting away small items. When caring for an individual with herniated discs, you may find it necessary to assist them in finding comfort in and around the home. This may include encouraging bed rest, helping the person to find comfortable seating arrangements, or even providing a refreshing massage to the person. It is important that you take an active role in assisting the individual with these needs. It will be much appreciated and will not go unnoticed. If you are responsible for an individual that is experiencing herniated discs, it is important to understand that you may need to provide medication and assist with other forms of treatment. It is important that you familiarize yourself with the medication that you are providing. You should know the proper dose, how much is allowed in a twenty four hour period, and any possible side effects that are known to occur with the medication. If you are assisting in other types of treatments, such as compresses, gels, or creams, you should understand how much and how often to apply these. When a person experiences a disc that is herniated, many symptoms may occur. These symptoms are often extremely uncomfortable. If you suffer from a disc that is believed to be herniated, it is important to understand the steps to a successful recovery. In this article, I will share with you many ways that you can recover from a herniated disc. While not all of these suggestions may prove to be helpful to you, I am sure that many will. The first step in the recovery process that involves discs that are thought to be herniated includes bed rest. While you may not be able to rest in bed consistently, you should try to do so as much as possible. It is important to have a strong, firm mattress to lie on to ensure that the back is kept as straight as possible. Furthermore, the pillows that you use should also be firm and help to assist in keeping the bed aligned. Resting will assist the body in repairing any damage that has been done as a result of the damaged disc. Many people have found that during the recovery process, elevating the legs seems to provide a higher level of comfort. This can be done by placing a small to medium size pillow underneath the knees. One of the main reasons that may sufferers find this helpful during the recovery process is due to the fact that it helps to alleviate some of the pressure that is applied to the back in the laying position. It may even be helpful for you to raise the thigh area slightly as well. There are many positions that you can rest in when you are recovering from a back complication. However, lying on the stomach is not a great position when this is the case. If you choose to lie on your side, it is essential to place a pillow or other structure between your legs. This will help to remove any pressure that may be applied to the area of the back. When you need to get up out of bed, it is important to take special care not to move suddenly. Many people find that it is best to push yourself into a sitting position by using the side of the body instead of the back. When recovering from a herniated disc, it is important to try to apply alternating heat and cold to the areas that are causing you pain. You may also want to ask your doctor for medication that may help to alleviate the pain that is associated with discs that are recovery. This can prove to be very beneficial. When on bed rest to recover from a herniated disc, it is important to consume a raw food diet with plenty of fluids. Bed rest often results in the intestinal tract becoming slow and this can cause the uncomfortable position of constipation. However, if you ingest raw foods that are high in nutrients and drink plenty of fluids, this should eliminate the cause for concern with this particular issue. You can visit our health food products page here: Herbalife Health Nutrition Supplements and learn more about our core nutrition program, the Cellular Nutrition Advanced Program and also check out these targeted products, Florafiber to replace your healthy flora and Aloe Vera Juice to help cleanse your system. Also using NouriFusion Skin Essentials will clearly help provide you with excellent skincare support for your ‘outer nutrition’. We would be very interested to hear your result stories with your problem if you are using some of our nutrition products. To send us your story just fill out the form below. SITE DISCLAIMER: Do these products “cure” anything? Of course not… but it stands to reason that if you cleanse your body and feed it the finest nutrition available, giving it everything it needs in balance, on a daily basis, that your body will do what nature intended, and give you the best possible chance to fend off sickness and disease. This information is not presented by a medical practitioner and is for educational and informational purposes only. The content is not intended to be a substitute for professional medical advice, diagnosis, or treatment. Always seek the advice of your physician or other qualified health provider with any questions you may have regarding a medical condition. Never disregard professional medical advice or delay in seeking it because of something you have read. The resources on this site are not intended to be a substitute for professional advice. While all attempts have been made to verify information provided in this publication, neither the author nor the publisher assumes any responsibility for errors, omissions or contrary interpretation of the web site subject matter herein. The site contents are solely the opinion of the authors and should not be considered as a form of advice, direction and/or recommendation of any kind. If expert advice or counseling is needed, services of a competent professional should be sought. The author and the Publisher assume no responsibility or liability and specifically disclaim any warranty, express or implied for any products or services mentioned, or any techniques or practices described. The purchaser or reader of this publication assumes responsibility for the use of these materials and information. Neither the author nor the Publisher assumes any responsibility or liability whatsoever on the behalf of any purchaser or reader of these nutritional supplements materials. There is no guarantee of validity of accuracy. Any perceived slight of specific people or organizations is unintentional. This website and its creators are not responsible for the content of any sites linked to. Since natural and/or dietary supplements are not FDA approved they must be accompanied by a two-part disclaimer on the product label: that the statement has not been evaluated by FDA and that the product is not intended to "diagnose, treat, cure or prevent any disease."